Group: up to 20 persons. 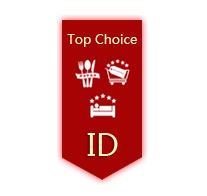 Price: 1 EUR for a person (VAT not included). 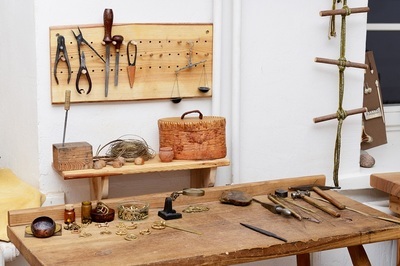 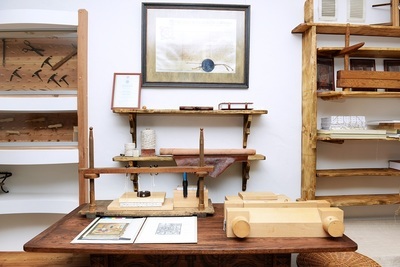 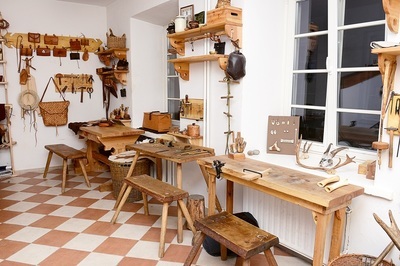 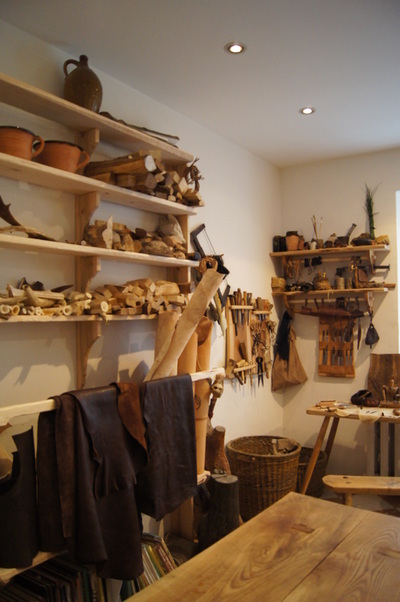 Old crafts workshops is a live museum with an existing craftsmen workshops, in which tools and wares are exhibited so that you can see the work process. 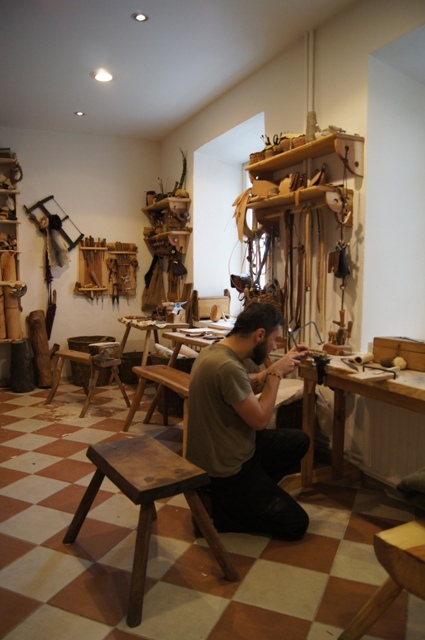 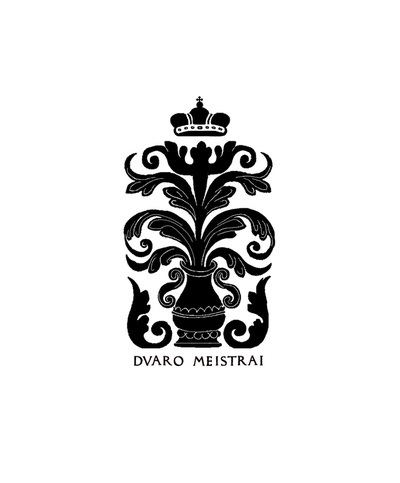 History of Vilnius city craftsmanship is presented in the workshop dating back to the times of Grand Duke Gediminas, who invited craftsmen from all over Europe. 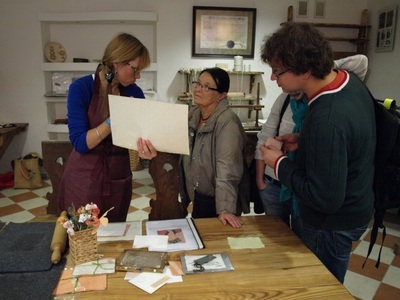 It is great place to feel the history of old Vilnius and take part of it with you. 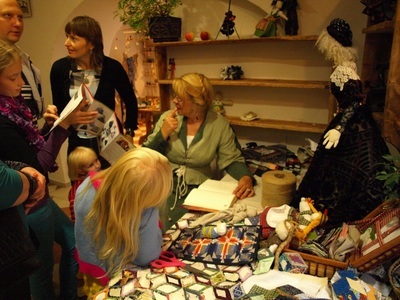 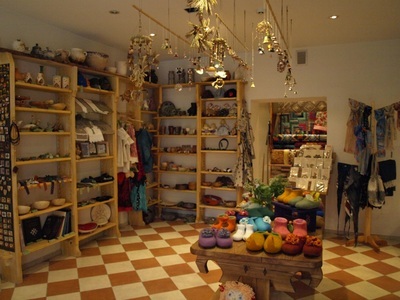 Baltic, ethnographic and contemporary crafts are represented here as well. You will find these workshops at us: Bookbinding, which will introduce you to the history of Medieval and Renaissance bookbinding; Manual Paper Making and Paper Marbling, where visitors will see the historic environment of paper making and its decoration; Spinning, where you will learn what tools and fibers were used to make threads in ancient times, how looked Medieval and Renaissance distaffs; Weaving, where visitors will be able to see historic equipment and tools, samples of woolen and linen textile typical to Lithuania; Basket weaving, which will introduce you to the materials used for weaving, where you will find baskets and other items weaved in various techniques of 8-18 c.; Bone working, where visitors will be introduced to various stages of this craft; Leather manufacture, which will present historic tools and equipment; Knife manufacture, where you will see the reconstructed table, work bench and tools made of bone and iron. 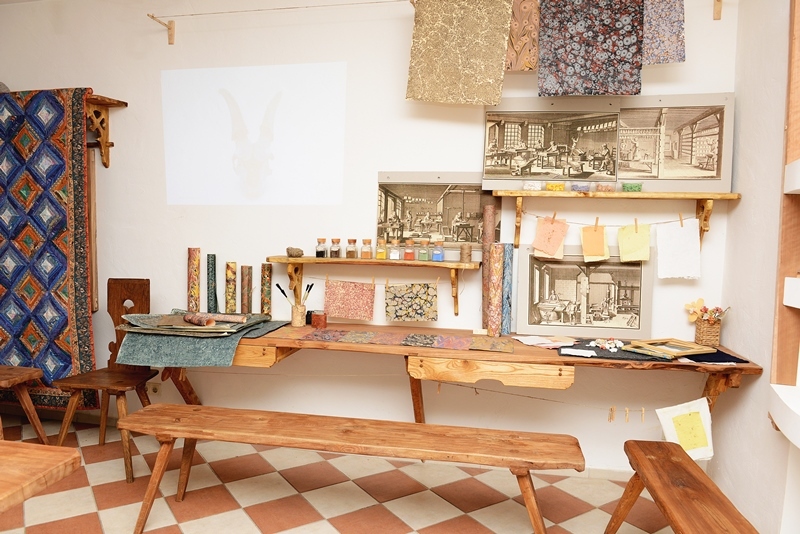 Also, do not forget to visit Stained-glass manufacture and Patchwork manufacture. 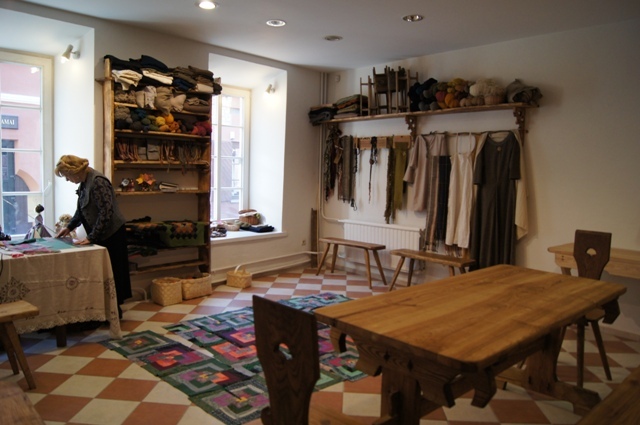 Price: 3 EUR for a person (VAT not included). 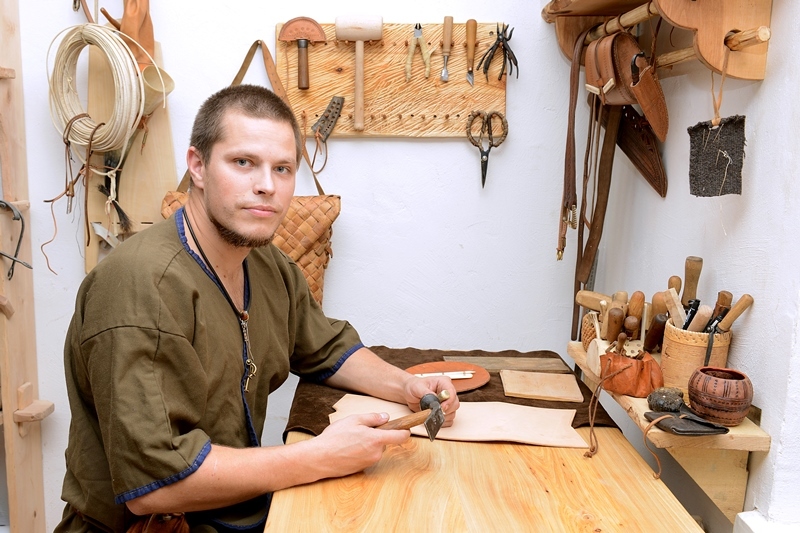 Language: tour - Lithuanian, English; craft presentation - Lithuanian, English, Russian, German (it depends on chosen crafts). 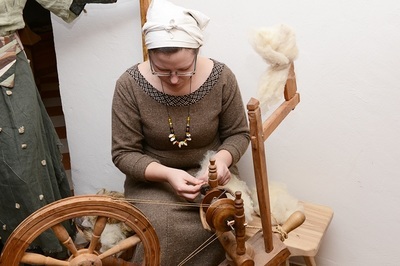 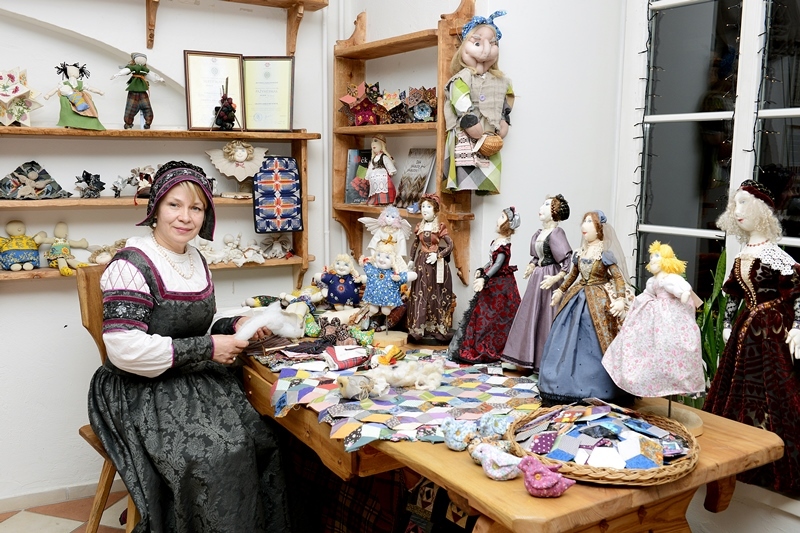 At least 2 different old crafts are being represented during the tour. Note: please, book the tour in advance. The aim of this tour is not just to get acquainted with crafts and workshops presented at the Old Crafts Workshop but also to hear interesting stories about the craft from the lips of craftsman! It is a whole history of craftsmanship with short cognitive lectures during which the craftsman introduces participants to the history of his/her craft, shows the basic techniques, demonstrates work process and discusses the means of applying old crafts to nowadays.